Caravan and camping is experiencing a resurgence and as this great recreation increases in popularity, park operators are faced with the challenge of upgrading their facilities to meet the demands of this discerning market. 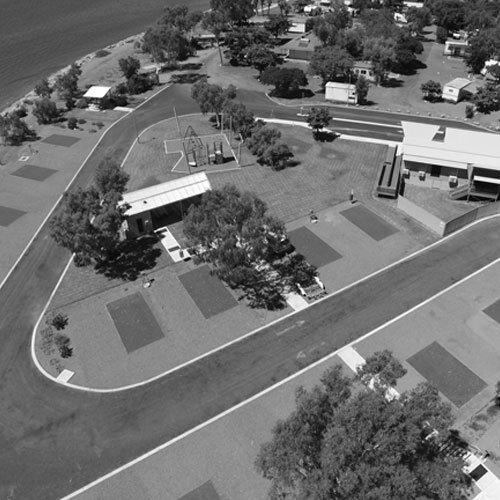 Our clients’ major priorities are ensuring that their caravan park meets the current industry regulations and standards and upgrading aging infrastructure. Park owners need to ensure that their park is attractive to visitors, competitive and designed to reduce the future maintenance costs. More and more operators are recognising the advantages in establishing a holistic approach to park expansion and re-development, with access to accurate cost estimates for a suite of re-development options. This information is both important and essential for guiding decisions on future capital expenditure. 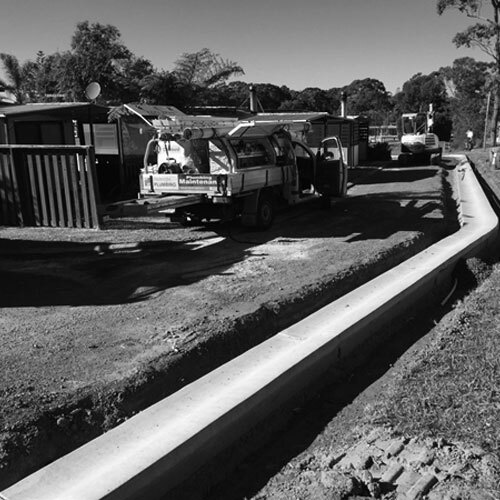 Our clients are realising the benefits and value of engaging specialised project management expertise and resources, to ensure construction of infrastructure is delivered on time and within budget. Design solutions that are practical, holistic and cost effective - based on our expertise in caravan park design. Evaluation of the existing park infrastructure, determine what is required to meet current regulations and then establish an overall infrastructure strategy, that can deliver a staged, compliant solution. Develop practical, staged master plans, for all types of leisure parks. We are cognisant of our clients’ needs and can incorporate bespoke requests into the infrastructure design and upgrade works. Cost estimation service, to provide our client with a realistic indication of the proposed project costs. This enables the client to determine budgets and allocate appropriate funding to the preferred projects. Complete project management services. 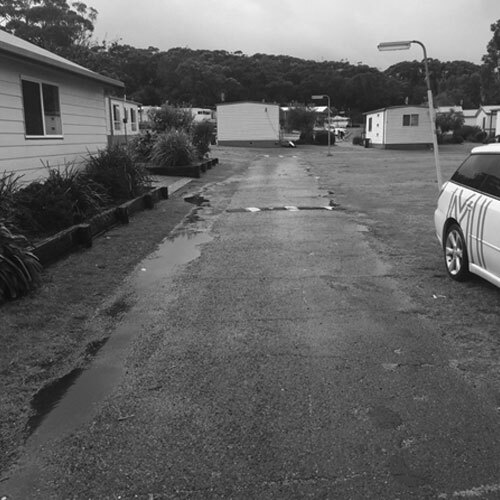 With our extensive experience, we acknowledge that carrying out construction within a caravan park, especially adjacent to operational tourist sites, can be challenging and further complicated by a lack of easily accessible information regarding the location of existing services. 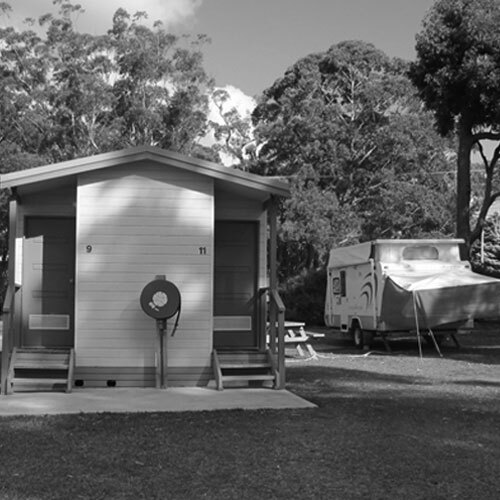 With our key clients including some of the sectors most reputable and successful operators - Holiday Haven Tourist Parks, Discovery Parks, Ingenia Communities and Ashburton Shire Council – MIEngineers has the proven capability to deliver real benefits and measurable value to our clients. 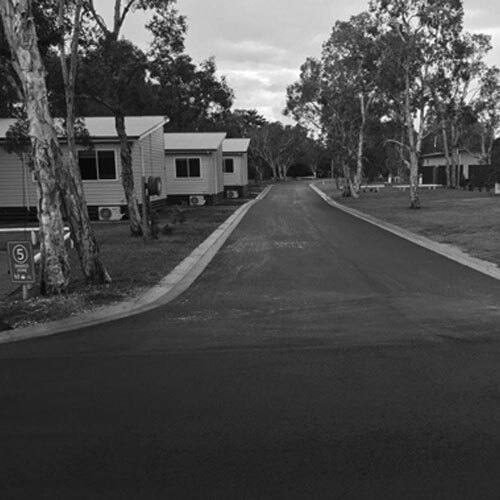 MIEngineers brings over 15 years’ experience in caravan park layout design to every project with extensive knowledge of site configuration, sizing of sites for different types of vehicles and effective service layout (Powerheads, sullage, water etc.) and an in-depth understanding of the current regulations and standards. 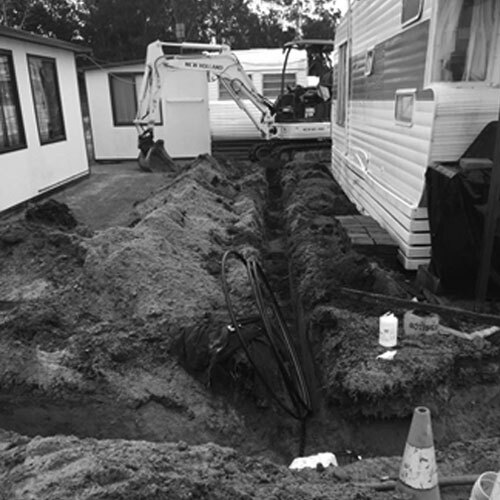 Our qualified construction Project Managers have experience in retrofitting new infrastructure into existing caravan parks and provide an invaluable service to ensure that correct procedures and processes are followed as well as ensuring that construction of infrastructure is delivered on time and within budget. Our clients appreciate they are receiving cost effective design solutions from a consultant who specialises in caravan park design. They value the knowledge and assurance provided by our detailed cost estimates and the understanding we share with them in relation to the costs of construction which can greatly assist in their decision-making. We understand that dealing with contractors, budgets, design variations and deadlines can be stressful. MIEngineers’ clients enjoy the peace of mind of having a specialist, professional project managing their construction project. They have the confidence that their project will be rolled out successfully. Contact MIEngineers for an obligation-free discussion on how our team can streamline your caravan and camping project.